The current generation of gaming won’t be defined by broken game launches, timed exclusives or battery lifespans in controllers. It’ll all come down to which console manages to have a decent compression ratio for data so that I don’t run out of f***ing space for all of my games. The Xbox One and PlayStation 4 both boast 500GB internal hard drives (not including the memory tax here). And they’re both easy to fill up. 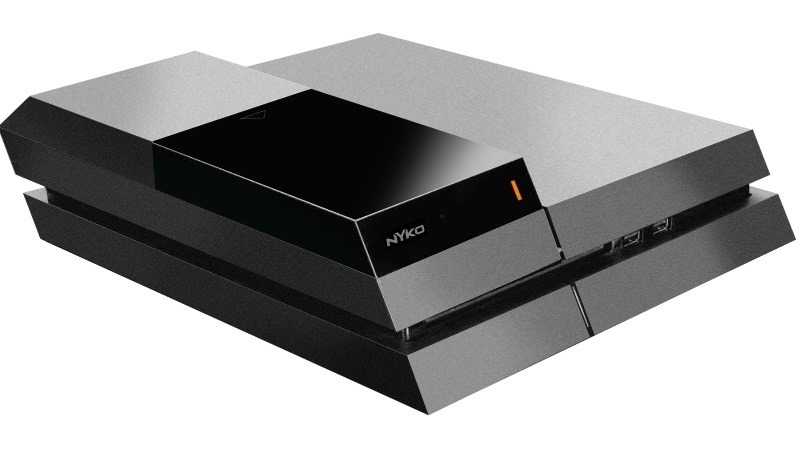 But Nyko has a strange solution for the PS4 at least. And that solution comes in the form of a new data bank, which adds a dock to your console that allows players to slot in a tradition 3.5” hard drive. “The solution eliminates the need for an external hard drive, which currently cannot support game installs or save data,” said Nyko at CES via VG247, when they unveiled the device. This also allows for larger storage, faster running speeds and less expensive prices found with 3.5″ hard drives. The Nyko device has no price yet, but details are expected later this year. Remember, you can upgrade your PS4 internals by slotting a new 2.5″ HDD inside of it, while the Xbox One allows for external support with compatible USB 3.0 devices. Or you could be like me, and realise that you need to trim some fat off of your consoles.